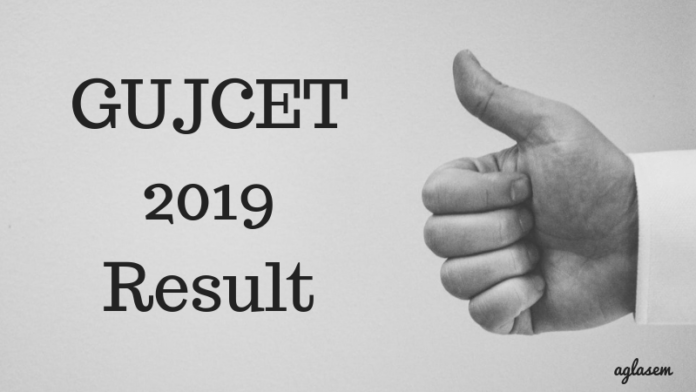 Home Engineering GUJCET GUJCET 2019 Result – Check The Result And Merit List From Here! 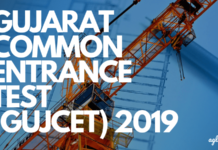 GUJCET 2019 Result – GSEB declares the GUJCET 2019 Result on its official website, gesb.org. Usually, the result is said to be declared by the first week of May. Over the GUJCET 2019 Result, a candidate finds individual section wise scores, along with the total scores. Note, that he GUJCET 2019 scorecards will not be sent via any postal or courier service. Furthermore, on this basis, the authorities will be further inviting selected candidates to appear for the GUJCET 2019 counseling round. 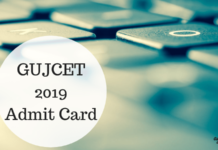 To know more details on GUJCET 2019, a candidate can keep reading! Note that, GSEB will be giving 60% of weightage to a candidate’s 10+2 level of marks and 40% of weightage to GUJCET 2019 marks while preparing the merit list. The cut off marks vary every year and will be released by the conducting body i.e GSEB. Candidates can keep a track of GUJCET 2019 Result related events from below. Result: Candidates will be able to check their GUJCET 2019 Results from here. 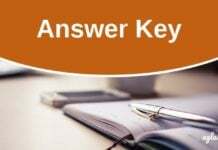 GSEB follows the prescribed exam pattern and marking scheme, as mentioned to estimate the scores using the GUJCET 2019 Answer key. Candidates can follow the instructions, provided below to calculate their GUJCET 2019 Result. It starts with the Physics section. For every correct answer, it gives us a +1 mark. But for every incorrect answer, a candidate 0.25 marks are deducted. The same marking scheme is applicable to Chemistry, Maths or Biology. This is how individual GUJCET 2019 scores are evaluated. Furthermore, GSEB prepares and releases the merit list, on the basis of individual scores secured by various candidates. Gujarat Secondary and Higher Education Board (GSEB) releases merit list for separate category candidates and for separate courses, on its official website. Higher the marks secured, the initial rank is allotted to such a candidate. On this basis, a candidate is further asked to appear and qualify for the GUJCET 2019 Counselling round. Once a candidate has cleared this round, he/ she is finally allotted a seat in any of GUJCET affiliated colleges, to pursue BE/ B.Tech/ Pharmacy courses. After having passed the GUJCET 2019, a candidate will be required to meet the minimum cut off marks requirement. The cut off marks tend to vary, every year. The authorities will release an opening rank and a closing rank for each category student, on the basis of which a candidate can seek admission to a particular member college. Once the authorities release the GUJCET 2019 cut off marks, a candidate will be able to find the same over this page. Deciding upon a cut off marks will depend upon factors like – previous year’s trends, the total number of seats, GUJCET 2019 difficulty level, number of candidates who appeared and applied for the exam. How To Check GUJCET 2019 Result? Candidates can follow these steps listed below to check their GUJCET 2019 Result. Look for the “Result” section. Enter your allotted seat number and press the “Go” button to proceed. Your GUJCET 2019 Result will be appearing on the device’s screen. After viewing it, make sure you save a copy of it and carry it on the day of counseling.